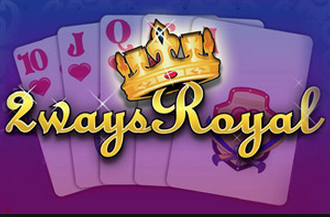 Two Ways Royal video poker is one of the more advanced variants available at premium Playtech casinos. This version of the game has a top payout of 4000 coins, which can be paid out for two different hands. The winning hands can be variations of a Royal Flush– one can be a low hand made from 2, 3, 4, 5, and 6 of the same suit, the other can be the high Royal flush, which is the 10, Jack, Queen, King, and Ace of the same suit. 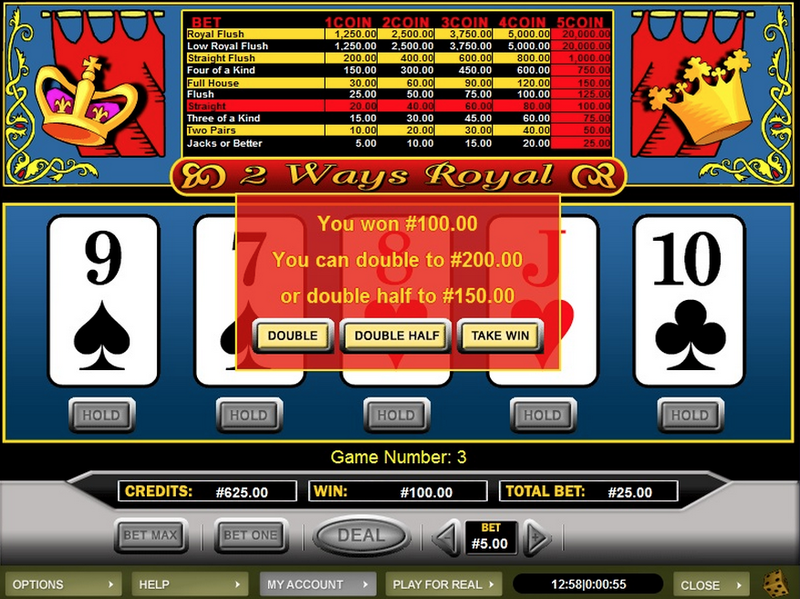 Manage either of these hands and you will receive the highest payout for the game. This game is well suited to those who love Jacks or Better, because in addition to the low and high Royal Flush, you will find all other payouts similar to Jacks or Better. 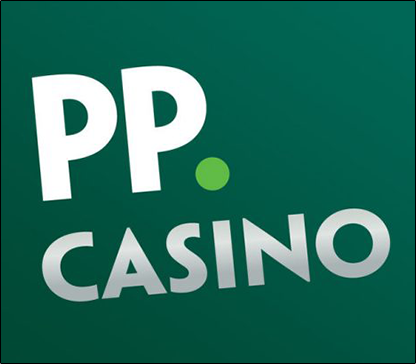 So, it pays to employ your Jacks or Better strategy to increase your chances of winning – keep hold of the cards, which create high-ranking hands. 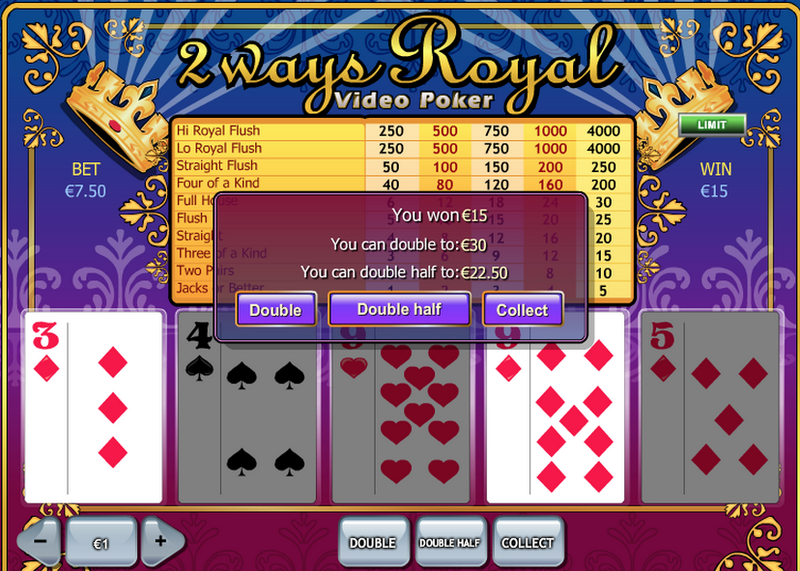 As with most Playtech video poker games, there's a double option, which can rack those wins up to large amounts. There is also a double half option, if the thought of gambling your entire winnings is too much. This makes it possible for you to take a chance and to win extra cash, without wiping out your bank balance. There are no wilds used in this version, but thanks to that extra Royal Flush payout, you have a greater chance of winning the jackpot when playing. 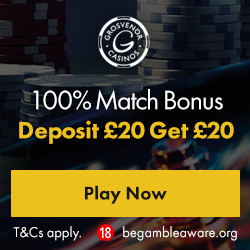 The Playtech version of this game is easy on the eye and easy to configure – there are even three different types of music to enjoy as you pit your wits against the dealer.